The National newspaper reported the remarks made by Trade Secretary John Andrias, who was commenting on the trade agreement signed in Tonga recently between Australia, New Zealand Tonga, Niue, Nauru, Samoa, Solomon Islands, Kiribati, Tuvalu and Cook Islands. PNG, Fiji and Vanuatu declined to sign the agreement. Andrias said Prime Minister Peter O’Neill had told the Pacific Island Forum leaders’ meeting in the Federated State of Micronesia in 2016 that PNG would not sign the Pacer-Plus. But he encouraged other Forum Island countries to if they so decided. Andrias said PNG "is still realigning its internal issues and is not ready to make commitments under Pacer-Plus to the detriment of its national interest as an emerging economy". "However, any other bilateral undertakings between PNG and Australia and New Zealand can be considered if any of the parties are interested," Andrias said. 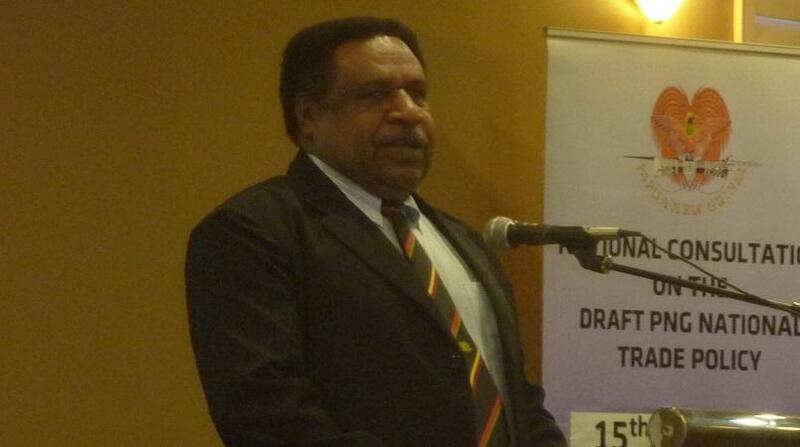 "Any agreements that PNG enters into must have significant economic and development benefits to country." Australian trade official Keith Pitt told The National that the Pacer-Plus was a landmark trade and development agreement covering trade in goods, services and investment. "It will deliver sustained benefit to the region and support long-term growth," he said. "Any decision to join Pacer-Plus is a matter for individual governments to make, taking into account their national interests. Australia has always held the view that Pacer-Plus will be stronger with all Pacific island countries participating. "Pacer-Plus parties will also benefit from a combined $33.2 million targeted technical assistance package from Australia and New Zealand to build capacity to trade in the region and beyond." A spokesman for New Zealand’s Ministry of Foreign Affairs and Trade said plenty of time had been built for Pacific Island countries to carefully plan the best way forward for them.